Born at Prince Edward County, Ontario on 29 September 1856, he was educated at Picton High School and the Osgoode Hall Law School. He was called to the Ontario Bar in 1881 and practiced law at Belleville, Ontario. He later moved to Manitoba and was called to the Manitoba Bar. He became a partner in the firm of Archibald, Howell, Hough and Campbell. He was made a Queen’s Counsel in 1893. Later partners in the firm included A. C. Ferguson, A. E. Dilts, and E. G. P. Baker. 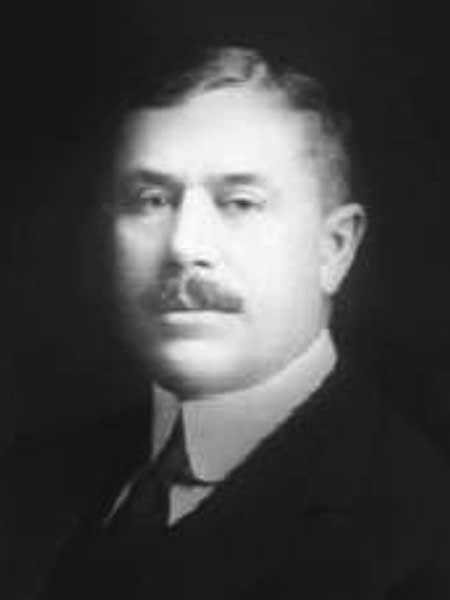 Hough served as a Director in several companies, including the Home Life Assurance Company of Canada, Canadian Director of the Royal Exchange Assurance Corporation of London, England, a member of the board of the North West Fire Insurance Company, the Royal Trust Company, and the Royal Bank. In 1896 he was married at Los Angeles, California to Frances Julia Chaffey (1862-1927), sister of B. E. Chaffrey. They had four children: John Elswood Hough (b 1898), Mary Allison Hough (b 1898; wife of E. G. P. Baker), Elswood Stanley Hough (b 1900), and Stephen Richards Hough (1900-1910). He joined the Board of the Winnipeg General Hospital in 1910, becoming its President in 1921 and remaining so until a year before his death. He was a member of St. Luke’s Anglican Church and Winnipeg Lawn Tennis Club, and a founding member of the St. Charles Country Club. He died at his Winnipeg home, 280 Roslyn Road, on 7 June 1928 and was buried in St. John’s Cemetery.